There’s so much fear-mongering over Facebook’s recent tinkering with their newsfeed algorithm, dramatically reducing organic reach to the point where publishers are now told to expect zero organic reach eventually, meaning they will need to pay up if they want anyone to see their content in future. Facebook is caught in a catch 22. They made a decision to monetise the service by offering ads (because revenues), so a few years back they artificially decreased organic reach to drive brands to advertise. As brand pages started to advertise, and sponsored posts started appearing in news feeds, users have become alienated: they visit less, they post less original content, they share less. To keep attracting those eyeballs, Facebook’s algorithm only shows you what you like to see, by carefully measuring a ton of factors such as how much time you spend reading a post, your engagement actions, your scrolling patterns and so on. But users don’t like sponsored posts (i.e. 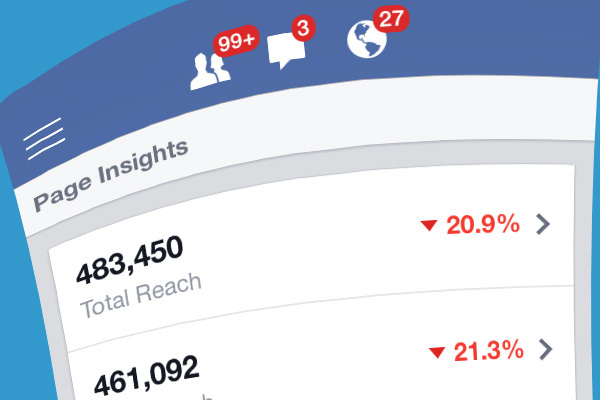 ads) with content they don’t like, so Facebook’s algorithm must now decrease your cluttered newsfeed even further, and organic reach is the easy way to reduce that clutter. Conveniently, this means brand page owners and advertisers now cannot expect their 2-4% organic reach to stay available indefinitely. As content explodes on Facebook and users seek cleaner newsfeeds, newsfeed content share by brand pages is just going to dwindle even further. What are publishers and advertisers to do? Not much, apart from continuing to create content that drives engagement (but avoiding clickbait articles, the cheap and easy way to cheat you way to engagement). The trick is to think long-term, invest in a strategy that connects your brand to genuinely useful, engaging content, and never waver from that despite temptation. For publishers, the way forward is subscriptions, witness the success of publishers like New York Times and The Economist. For advertisers it’s a thornier problem, because of the inherent tension between creating content that people want to consume, and using that content to achieve commercial goals. As a content marketing agency, we walk the fine line of this tension daily. Are you looking for advice on how to balance between maximising reach, and building your brand? Drop us a note at ask@rfi.asia and let’s have a chat.